Update on the ANZAC – After finding Freedom (nee ANZAC) still afloat I made contact with the owner after being told that she was for sale. I quickly arranged a date to view her and check her out – net result I purchased her. She is now out of the water and being refurbished with a target date of getting her back in the water for the summer of 2017-2018. I have set up a web site to shoe the progress – it can be viewed here. This entry was posted in Uncategorized on March 6, 2017 by gregorypaulskinner. 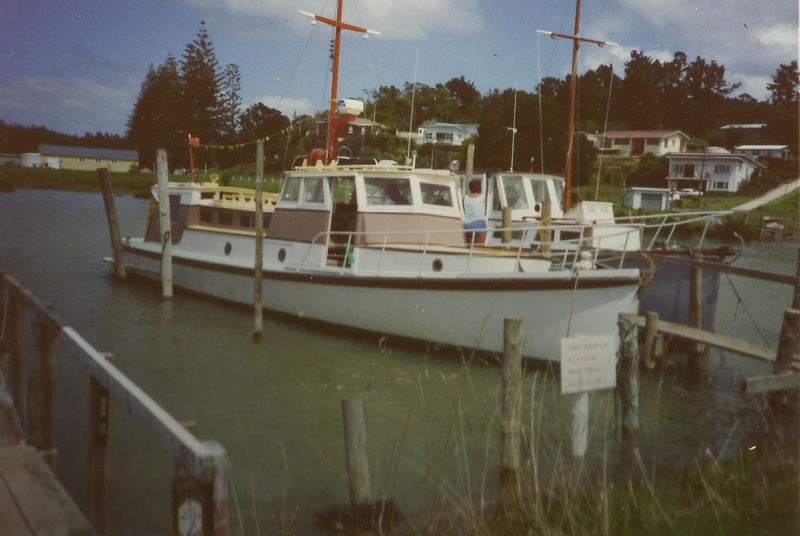 Recently I have been trawling through various web sites trying to get the contact details of an author who had written a book on an Auckland boat builder. I came across this site called Waitamata Woodys. I entered a search on the ANZAC and low and behold the vessel is still afloat. It has been renamed FREEDOM, and now is moored off Herald Island. It looks much the same as it did in the 90’s when Barney and Jimmy came across it in the Kaipara, but now is tied and in need of some attention. 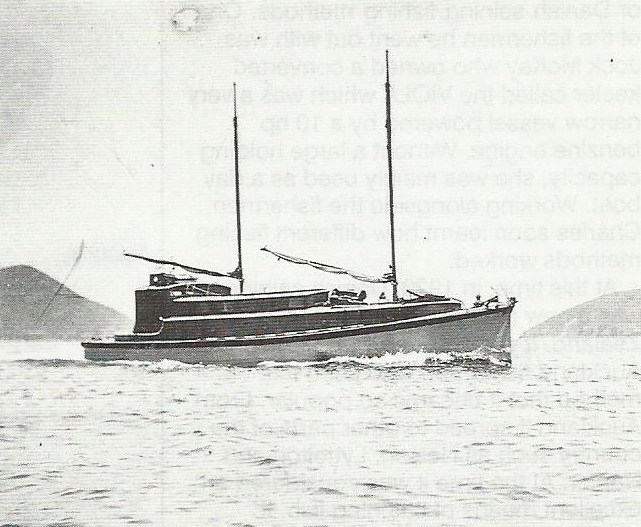 This launch was built by Bailey & Lowe in 1911 as MAPUHI for A.B. Donald. Donald sold her to Alex Burt Jr in late 1913. In late 1915 Burt changed her name to ANZAC in a fit of patriotic pride. She was sold to the NZ Government in the mid-1920s and used as a Fisheries Inspection vessel under command of Capt Daniel. Later she was on the Kaipara renamed BETTY then FREEDOM. I saw her last moored off Herald Is. When he bought her in 1913, Alex Burt changed her name to OBAN then changed it to ANZAC in 1915 to commemorate the Gallipoli landings. This entry was posted in Uncategorized on January 6, 2016 by gregorypaulskinner. This was enough for Barney to seek a different occupation, one however which still involved the sea. Barney Daniel, later in life, found the time to write his own life story in “A Kiwi Journal”, alongside this he had other writings where he recorded his thoughts on various subjects. Among some of these writings we have found a short document titled “Captain Charles Daniel” in which he writes about his father. It has been 20 years since Barney put pen to paper and wrote about his father (March 1995) and finally together with some of Barney’s other publications and added historical notes from newspapers, certificates, records and further notes and photographs from the Barney Daniel and Patrick Skinner Collections, we have been able to assemble a more complete study of Captain Charles Bamford Daniel’s life, and put it together into this book.